The composition of the GameFounders program is usually quite diverse and come from all corners of the world. We sat down and got to know one of the teams a little better who came all the way from Land of Pyramids and the Nile. Castling Entertainment Studios from Egypt is looking to accelerate their progress with an unstoppable passion for making games and hungry for success. 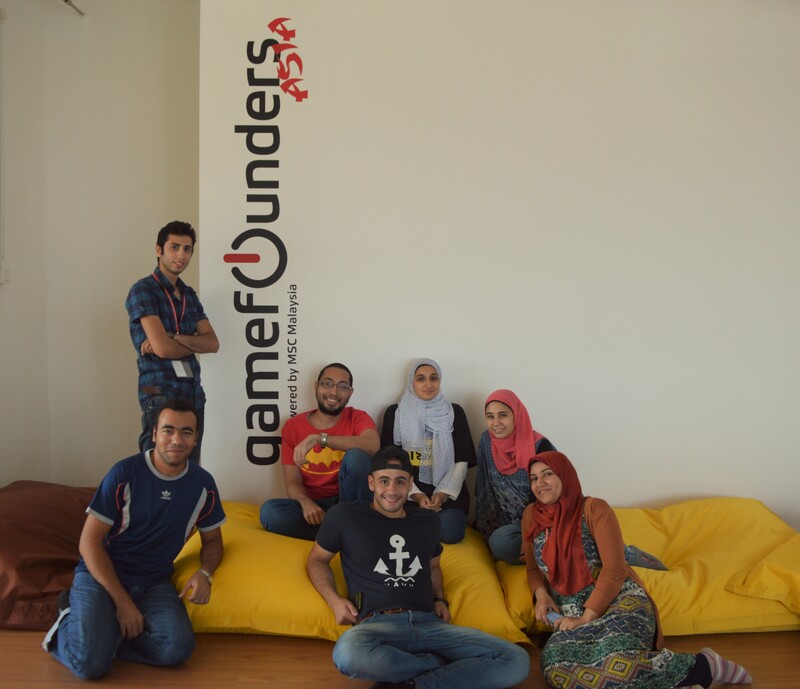 From a large group of 20, seven individuals took the trip to Malaysia for the GameFounders program. It all started with Noha, the Production Manager of the team. All 20 members actually studied game development ITI (Information Technology Institute) in Cairo, Egypt. Originally, they were working separately, but Noha understood that to achieve success in this industry, they need to collaborate together to create something really special. Some of the notable members who came to Malaysia, of which Haitham is the CEO, Islam is the Technical Manager and Noha is the Production Manager. All of them come different background such as engineer, artist, programmers and such, they have one thing in common, which is to create a successful and sustainable business, and not only a game. The team already made 7 games but the one they are focusing on today is called Season’s Wrath, is particularly important. It has regularly been said that the children of today will acquire the Earth of tomorrow and climate change will be a continuous battle for everyone. The education of preserving our environment exists but what if there is a way to make it more interactive. With this current project, it can be brought out from reading material to turn matters about our environment, fighting to save the world from global warming a truly interactive experience. The team had said if the game is successful, a percentage of the proceedings will go to charities or foundations that deal with issues of global warming. Since this is their first time visiting Malaysia, they said, it is a beautiful country and it is a lot greener compared to their home. The weather over here is similar to Egypt, so getting used to the tropical setting is not that hard compared to the colder countries. Being at GameFounders for about 3 weeks, the exposure to the more business side of making games have been quite helpful, improving their skills to talk to investors and publishers. With more than 2 months there are plenty of other opportunities to get to know better.